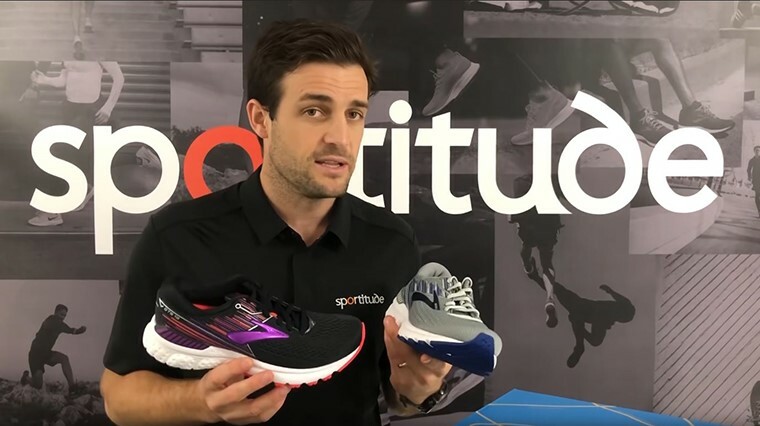 Josh gives you the lowdown on the new Brooks Adrenaline GTS 19 running shoe and identifies its breakthrough changes that have transformed the stability shoe category. Unlike traditional stability shoes for overpronators, it doesn't focus on correcting your stride. 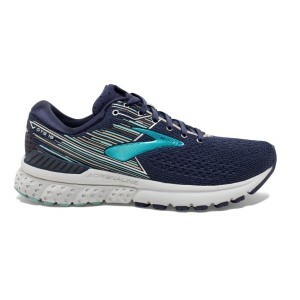 Brooks philosophy is to guide rather than control, swapping out the dual density foam of the past for an innovative Guide Rail system that lets your feet do their thing, naturally and in comfort. Hello everybody, Josh here from Sportitude and today is shoe review time. 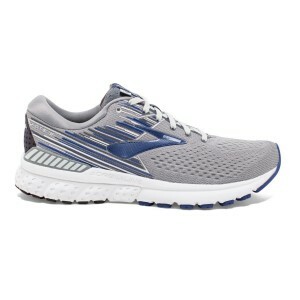 We’re going to be reviewing the new and improved in my opinion, Adrenaline 19 from Brooks. There is a lot to talk about with this new shoe so please go make a cup of tea or coffee and grab a few biscuits and sit down. Let me tell you, this is a big change up and I’m looking forward to showing you what it’s all about. Without further ado, let’s get stuck in. With the Adrenaline 19 we’ve got a couple of colours. I’ve got the ladies’ Adrenaline 19 in my hand. To your right and my left, I’ve got the men’s Adrenaline 19 colour. Obviously, there’s going to be a number of colours throughout the next 12 months and even so with our own inventory, we’ve got a few different colours in stock. 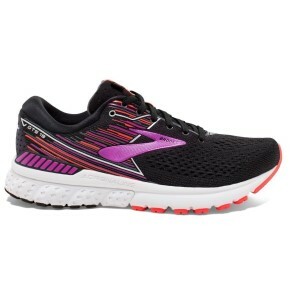 Please hit the link to the Brooks Adrenaline 19 landing page on Sportitude and check out the other colours. With this shoe traditionally we’ve seen dual density play a critical role in the overall support stability of this shoe. 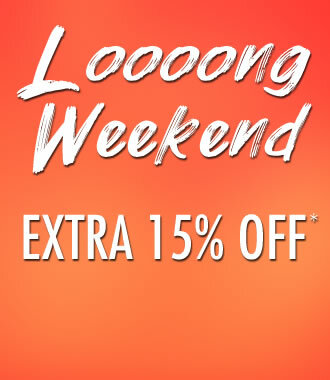 I’m going to grab an Adrenaline 18 which is the old ladies’ colour from last season. You can see in the medial platform they’ve got dual density playing a critical role for supporting that shoe for overpronators. What this has done over the years is create a very solid shoe in their range. When you’re up to the 19th version of your shoe you’re obviously getting something right. Playing a critical role in that medial side, supporting the foot type that comes through heel strike, midstance and rolls in over that arch. The theory being to minimise that rotation, stabilise the foot and in effect stop any sort of irritation through the foot, ankle, shin, knee and hip. That’s been the thought pattern for a number of years. There’s been a number of studies published in even over the past five years discussing that very topical point. Do we need to stop or minimise the amount the foot pronates? Brooks have basically sat there and said, “No”. This Adrenaline right here has been in the workings now for a couple of years. This isn’t something they’ve just decided overnight they’re going to change. 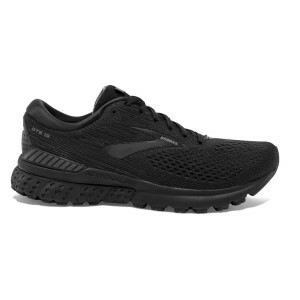 They’ve run the Guide Rail system in the Brooks Transcend now for six seasons which is slowly building a bit of traction, but now they’ve rolled it over into their number one supportive shoe globally. What I’m talking about when I’m speaking about Guide Rails is essentially, they’ve taken away the dual density foam which we saw in the Adrenaline 18 and all previous Adrenalines. They’ve gone with this Guide Rail system which cradles the foot on the lateral heel and then a little bit further down that medial side, just past that midstance phase. It’s a lighter supportive system. It’s not as intrusive on the foot so when you put your shoe on you don’t go, I can feel the arch there, I know it’s supposed to be there and I’m looking forward to it playing its part in minimising my pronation. That is not how this shoe works at all. Those Guide Rails are likened to bumper rails when you go ten-pin bowling. They are there and when you’re about to throw a gutter ball they’ll bounce you back and put you on track. The Guide Rails are literally there to assist your foot when it gets a little tired, sloppy and potentially overpronate through that midstance phase. I love that concept. I’ve been fitting stability and stable neutral running shoes now for a number of years. We’ve seen that transition from a traditional neutral shoe to a stable neutral shoe come through in the last three to four years. We found with overpronators that don’t like the dual density foam, we’d whack them into stable neutral shoe and they’ve been really happy. That’s what the Brooks Adrenaline 19 is here. I’m not going to sugar coat this. It’s basically a stable neutral shoe on steroids. It’s got those Guide Rails there to play a part if need be. But the main factor is here for that heel striker comes over the heel, the Guide Rail on that lateral side is placed strategically to cradle that calcaneus, to minimise the amount that can fall off the platform and hold it in shape. As it come through in midstance the medial Guide Rail plays a part in keeping that foot nice and stable as it goes through midstance transition. We’re going to start from the ground and work out way up. We’ll go outsole, midsole then upper. I’ll grab the ladies’ shoe. As you can see on the base, we’ve almost got full ground contact. What that means is there’s an outsole or point of contact with the shoe and the ground from heel strike right through to toe-off. There’s no Trusstic beam that sits through that midshank area that splits the forefoot from the rearfoot. If I quickly hold up the Adrenaline 18 from last year, the ladies’ version, you can see on the medial side there was a bit of a beam or Trusstic device placed on the medial side to give it some extra rigidity and structure through midstance. They’ve ditched that idea and have almost gone full ground contact. I love that concept. If you’re heel striking or midfoot striking, having a really good flush point of contact at the ground is critical in reducing that first impact with your body when you make contact with the ground. Let’s talk all things heel striker. The heel strike is through here and we’ve got carbon rubber which is the nice, harder wearing rubber, so really plays at the back of the heel. As you come through to your forefoot, it’s just your traditional blown rubber. One little feature I do like and I tend to point this out with other brands that do it quite well is that underneath the flex grooves this little rubber is encapsulated. This gives the shoe a little bit of extra rigidity when you’re toeing off which is important for that overpronator that does roll off that big toe too much. Getting a bit of stiffness through that forefoot just plays a nice role keeping that foot nice and stable as you toe-off. It has a nice broad base through the forefoot which is good, plenty of real estate gives you plenty of support when you’re toeing off. We’ve got three flex grooves through here in comparison to last year which is almost the same, and they did encapsulate that midsole on the medial side as well. Not a lot has changed with the outsole, it’s just the Trusstic beam had been removed in the Adrenaline 19. Let’s move onto the midsole. This is where all the magic has happened in the Adrenaline 19. We’ve gone Guide Rails. As I touched on earlier there’s a lot that changed and this is a massive change in this shoe. You’ve got 18 years of history and 18 years of loyalty from a lot of runners relying on that dual density foam. Brooks have basically said, “See you later dual density, hello Guide Rails”. What Guide Rails do that dual density couldn’t achieve is that Guide Rails are there, strategically placed if your foot needs them. We’ve got Guide Rail on the lateral side of that heel unit, so that plays a part when your foot comes down heel striking. There’s a nice bit of cushioning through here which is that DNA Loft they’ve used in the Ghost. It almost looks the same in the Adrenaline 19. It’s a nice, soft cushioning system. The Guide Rail that sits on top on this lateral side just gives the shoe a little more support when it hits the deck. As you swing around to the medial side you can see the EVA foam as you come around. The DNA Loft and DNA cushioning system is the same density on the medial side as it is the lateral side. However, the Guide Rail sits on top of that EVA cushioning system on the medial side and transfers a little bit further down the gait cycle, so just after midstance phase. To talk all things cushioning system there’s the DNA Loft crash pad at the back of the shoe for that heel striker that does comes down. As you go through to the forefoot we’re talking traditional DNA cushioning system, so silicone particles broken down poured into that EVA mould. This gives it a nice, soft feel on that first point of contact with the ground, but as you come through that forefoot it's responsive to create an efficient toe-off. We’ve gone outsole and midsole, now all things upper. I’d like to talk to you again about my favourite feature of nearly every single high mileage Brooks shoe and that’s the heel counter. It’s an internal heel counter. It’s not intrusive and it’s nice and supportive. This lining they use around the inside of the Adrenaline 19, they also use it in the Ghost 11, the Glycerin 16 as well as the Transcend. However, those top end running shoes feel so plush when you put your foot in. The foam isn’t that intrusive. There’s a lot of brands out there that are trying to create a really plush pillow-like feel at the back but when you put your foot in it feels like it’s being suffocated. This is not the case for the Adrenaline 19. You put your foot in there it feels light, it feels supportive and it’s really comfortable. As you come through the forefoot, we’re talking all things seamless. There’s no irritation that’s going to cause any rubbing at all. The midfoot has a few overlays through the midstance phase which wraps over the top of the navicular. It’s obviously a critical part to keep it nice and supported. You don’t want your foot moving around in the platform at all, which is contradict to what they’re trying to achieve with the Guide Rails. 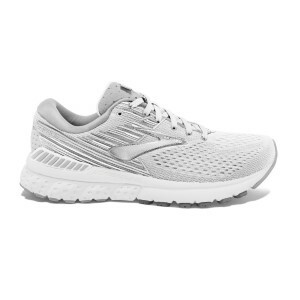 It’s a nice, supportive upper and as you come through the forefoot it’s a very light, very breathable construction. The upper itself is nothing magical that they’ve gone and designed. It’s just a good, light, breathable and strong upper. They do make a really good upper in the Adrenaline 19. With the shoe itself, I’d like to talk to you about the fit. What I was in the Adrenaline 17 and Adrenaline 18 and what I am in the Adrenaline 19, size for size, width for width is the same fit. We’ve had the same feedback in the ladies’ too. If you’re a size 9 in the Adrenaline 18 you’re going to be a size 9 in the Adrenaline 19. Nothing has really changed there at all and same thing with widths. If you’re a 2E in the men’s 18 then you’re going to be a 2E in the 19 as well. To wrap up the Adrenaline 19 it’s a shoe that I’m really excited about. I have to tip my hat to Brooks because a number of years ago they started to change the way we thought about stability shoes or stable shoes and how they should be fitted. It’s a big, bold move for them to move away from something as trusted as the Adrenaline family with that dual density foam to then roll it over to the new Guide Rails system in the Adrenaline 19. They are going to stick to it and I think it’s a fantastic move. We don’t want to stop the natural path of the foot. If your foot happens to pronate ever so slightly, it’s okay. If you have severe overpronation that requires some clinical assessments, then you should potentially go see your local podiatrist or physiotherapist and have a chat to them about your mechanics and what can be done. For the person that comes in off the street and we’re fitting them, it’s really important we fit them purely around comfort and making sure the shoe is doing what it should do for them. The Adrenaline 19 definitely does that. As I said before I’ve been through a few runs in them. I’m a big fan of the shoe. It’s got cushioning, it’s got response. It's nice and light and it’s going to be a shoe to certainly keep your eyes on in 2019. There we have it guys, thank you so much for your time. To all the runners out there, happy running.